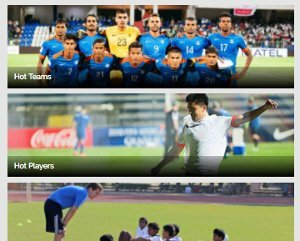 The Goan team is on a run with three victories which include DSK Shivajians and Kolkata heavy-weights Mohun Bagan and East Bengal. . .
League leaders East Bengal were handed their second defeat of the season against league minnows Churchill Brothers on Tuesday afternoon as the Kolkata giants went down against the Goanese team with a score line of 2-1. East Bengal was robbed off of an early goal in the third minute of the match when striker Chris Payne was brought down by the Churchill defenders in their box just before the Aussie striker could get a clear shot at the goal. Churchill skipper, Anthony Wolfe started the match brightly, making several runs down the middle of the park to the East Bengal box, most of which was successful due to the incessant defensive errors of the East Bengal back four. The visitors took an early lead in the seventh minute when a deflected shot by East Bengal goal keeper Rehenesh ricocheted towards the goal, which Anthony Wolfe quickly picked up and went on to score the first goal of the afternoon. Churchill looked to be playing an aggressive brand of football in the early first half but was resourceful tracking back deep into the field as well when faced with opponent counters. The first half of the match saw a tactical masterclass from Churchill Brothers coach Derrick Pereira, which the home team found hard to break down. 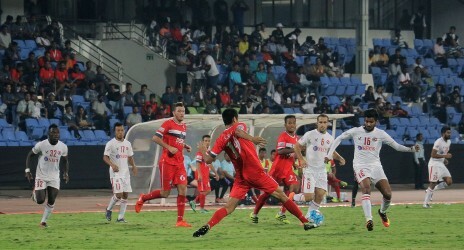 The hosts goalkeeper Rehenesh kept making positional errors to dribble the charging opposition forward on multiple scenarios, thus leaving gaps which Churchill forwards made no mistake to exploit. The partnership of East Bengal holding midfielder duo Mehtab Hossain and Rowlin Borges looked to be almost non-existent for the glowing presence of Churchill defender Adil Khan. Both Mehtab and Borges were carefully marked by the Derrick Pereira’s men, hence sending the supply line out of the equation. The situation yet once again worsened for East Bengal in the 34th minute when Churchill captain Anthony Wolfe defeated center-back duo Anwar Ali and Ivan Bukenya, split-passing the ball to Kromah upfront who in turn gave the visitors a two-goal lead over East Bengal. Trevor Morgan tried to provide his team with a necessary boost as he introduced star striker Willis Plaza to the match in the 35th minute, replacing Mohamed Rafique. The Trinidadian striker created an instant effect to East Bengal’s gameplay moments after coming on as he received a diagonal from overlapping side-back Robin Gurung in the 44th minute but failed to score in the end. Veteran defender Arnab Mondal was also introduced to the game by East Bengal coach Trevor Morgan at the beginning of the second half who replaced new defender Ivan Bukenya in the 46th minute. Churchill Brothers continued to exploit East Bengal’s left flank in the second half, using the passing prowess of right back Seriton Fernandes who in turn fed Churchill forwards with pinpoint crosses and diagonals. East Bengal used the last of their three substitutions when Lalrindika Ralte came on for Rowlin Borges in the 50th minute to provide the team with some much-needed pace and impetus in attack. The match turned physical in the second half with heated brawling taking place all over the pitch. East Bengal defender Arnab Mondal picked up a head injury while Churchill forward Kromah was brought out of the pitch on stretchers after a leg injury. A moment of the clumsiness from Churchill defence allowed East Bengal to retaliate in the 67th minute when Robin Singh crossed the ball to Payne who turned and scored the ONLY goal of East Bengal. 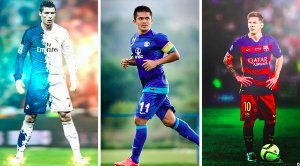 Churchill made the first substitution of the game in the 70th minute when Surabuddin Mollick replaced Chesterpaul Lyngdoh. Liberian attacker Kromah was also replaced by Surchandra Singh in the 78th minute. 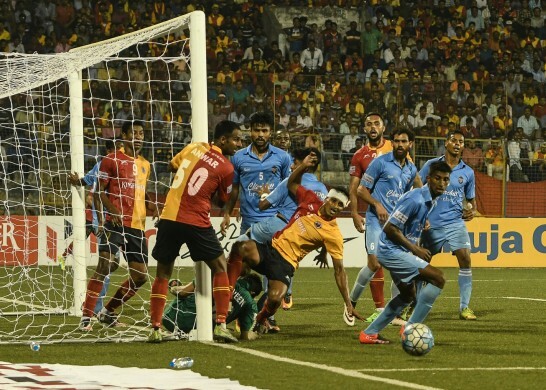 East Bengal lost a golden opportunity to equalise in the 84th minute when a cross by Mehtab Hossain, headed by Anwar Ali struck the bars and went overboard. The hosts looked to be desperate for a goal in the dying minutes of the second half as they kept on pressing Churchill in the second half. The referee added five minutes of extra time, but none of the teams could take advantage of the injury time. 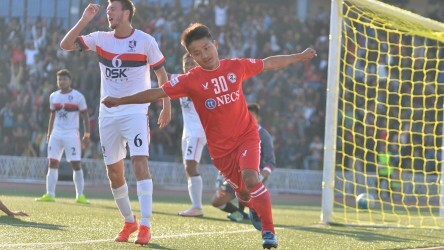 With the second defeat of the season, East Bengal now risks losing the top spot to Aizawl FC if the Mizoram-based club beats DSK Shivajians later tonight.